Punnett's Square: Exercise could prevent the progression of Alzheimer's symptoms. Exercise could prevent the progression of Alzheimer's symptoms. The New York Times published an article written by Gretchen Reynolds who commented on a study pulished in January, 2019, by Nature Medicine. This study explored the connection between exercise and prevention of memory loss. The hormone Irisin and its impact on the brain is the focus of this study. 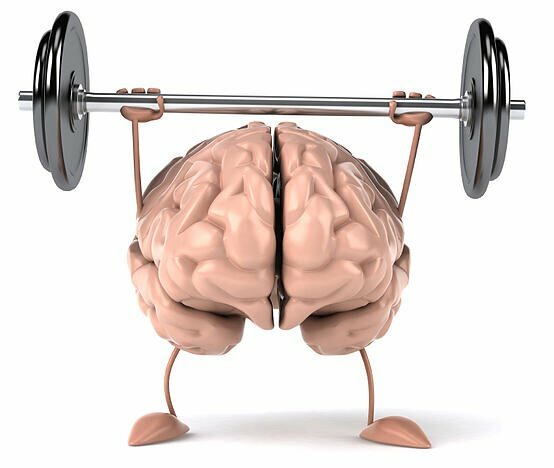 Based on sufficient scientific evidence, it is agreed that exercise can increase the ability of the brain and cause it to function at a higher capacity. The specific function of the brain and what exact mechanism causes this to occur is unclear. It's confirmed that Irisin is released during exercise, this being known, scientists hypothesize that the hormone Irisin is responsible for the improved function of the brain, specifically prevention of memory loss. Prior to testing their hypothesis, Irisin needed to be found present in the brain. Once the hormone was confirmed present in the brain tissue of humans, the scientists set out to test the connection of this hormone to memory loss. Scientists who studied Alzheimer's, arranged a series of tests involving mice. Multiple tests were performed, analyzing different combinations of healthy mice and mice who had been bred to develop Alzheimer's paired with varying levels of Irisin. The results of the experiments suggested that increased levels of Irisin in the brain can help prevent the progression and severity of Alzheimer's. It was concluded that exercising can indeed enhance your brains function of memory through the increase of Irisin that is released during physical exercise. Balancing going to college with working and family responsibilities can be challenging. Exercise is frequently pushed to the bottom of our To-Do list. We frequently associate exercise with our outward appearance, whether it is losing fat or gaining muscle. When our outward appearance is not a priority in our life, we neglect exercising because it is "not necessary". However, this article proves that your physique is not the only thing that benefits from exercise. Once you incorporate regular exercise into your life, you may find that you are scoring higher in your college classes and remembering family memories with clarity. It is important to remember that a lot goes on below the surface of our bodies. A few minutes of cardio a day can make a world of difference in the quality of your life. I'm surprised that I've never heard of this hormone, but after doing some research about it, it actually has quite a number of positive effects on the body and brain, with potential prevention of Alzheimer's a very important one! I think that exercise can definitely become a bottom priority to those with very busy schedules, but it is true that it can have these underlying positive effects, along with the general feeling of happiness that comes when endorphins are released during/after exercise.